Providing Dallas-area young people the experience of artistry and excellence through choral singing in a group that reflects the area's diversity. Now celebrating its 22nd season, the Children's Chorus of Greater Dallas (CCGD) is one of America's largest and most prestigious youth choral programs, and serves as the official children's chorus of the Dallas Symphony Orchestra. Under the leadership of Artistic Director Cynthia Nott, CCGD is dedicated to providing Dallas-area young people with opportunities to study and perform choral music at the highest level of artistic excellence, in a group that reflects the region's ethnic and economic diversity. 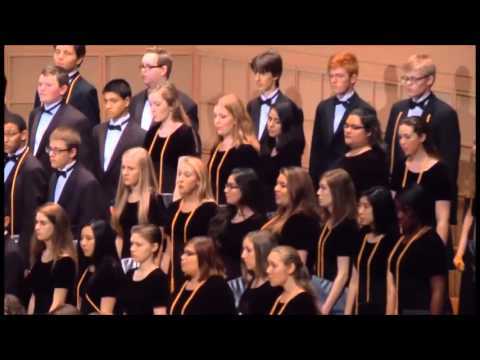 ​CCGD's eight choral ensembles serve more than 500 children and teens in grades 4-12, drawn from 53 communities throughout a 33-mile radius of downtown Dallas. Approximately 4,500 patrons annually attend CCGD's Deloitte Concert Series, held at Dallas' world-class Morton H. Meyerson Symphony Center. This season, through ancillary regional performances, community engagement initiatives, and a tour to San Francisco, CCGD will extend the enrichment of choral music to more than 20,000 children, youth, and adults. ​Founded in 1996 by eight Dallas musicians, CCGD was conceived to provide area youth with a forum to excel as choral musicians in their own right and to serve as a quality resource for the Dallas music community. Heralded by Dallas Symphony Music Director Jaap van Zweden as "…one of the best [children's choruses] I've ever heard," CCGD enjoys a reputation for artistic excellence within the classical music community as well as among audiences at home and abroad. In addition to appearing regularly with the Dallas Symphony Orchestra since 1997, CCGD has performed locally alongside the Dallas Bach Society, the Dallas Wind Symphony, the Orpheus Chamber Singers, the Greater Dallas Youth Orchestra, and more. CCGD's tours have resulted in performances in such prestigious venues as New York's Carnegie Hall, Chicago's Symphony Center, London's Southwark Cathedral, St. Peter's Basilica in Rome, and the Cathedral of Notre Dame in Paris. "I have listened to and worked with children's choruses around the world and this chorus is one of the best that I've ever heard." -Jaap van Zweden, former Dallas Symphony Music Director. "My brilliant, quirky, sensitive child has been transformed into a confident, professional singer who has high standards of personal excellence. Finding kindred souls who shared her love of music was of inexpressible value in her development." "When our oldest child was diagnosed as ADHD, I started a search for activities that would challenge him, inspire him and keep him focused. CCGD offered those opportunities and we very quickly discovered that choir 'centered him' and we are forever grateful for the opportunities he has been given on this path." "I've learned that you not only have to know your part, but you have to know what you're apart of." "I have met some of my very best friends in this choir, who have turned into my family. I have been in it for half my life, and the wonderful skills it has taught me will surely go on to greatly benefit me in college. I feel that my voice has greatly matured and I have become a better person and musician through these choruses." "Even though we may have different interests, we all are joined by choir, and it's nice that we're all the same when we sing." "My daughter has developed poise and self discipline, gained wonderful long-term friendships and been mentored by incredible conductors. I have no doubt that she will look back on her years with the chorus as some of her favorite memories."